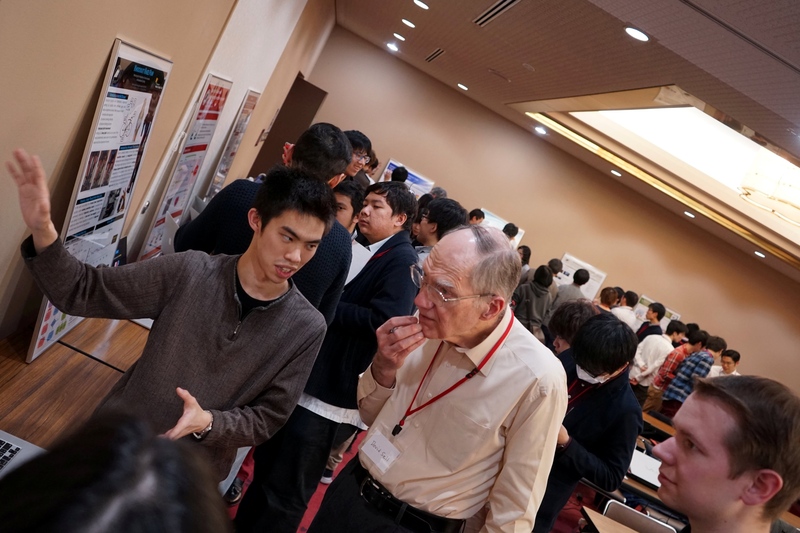 NAIST students are encouraged to pursue their own research projects. One of the avenues that NAIST offers is the CICP (Creative and International Competitiveness Project), a 6-month program in which students assemble a team, apply with a proposal and independently manage research funds to realize their project. At the CICP workshop, students present their progress. 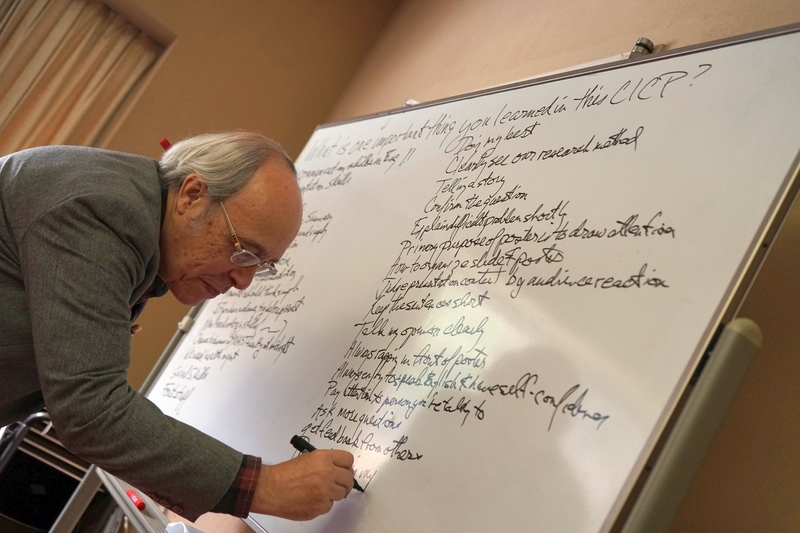 This year’s CICP workshop was held at Boscovilla from Sunday, December 10 until the next day’s afternoon. On Sunday, staff and faculty left by bus for the Boscovilla, a hotel in Nara prefecture with a connected onsen, restaurant and meeting spaces. 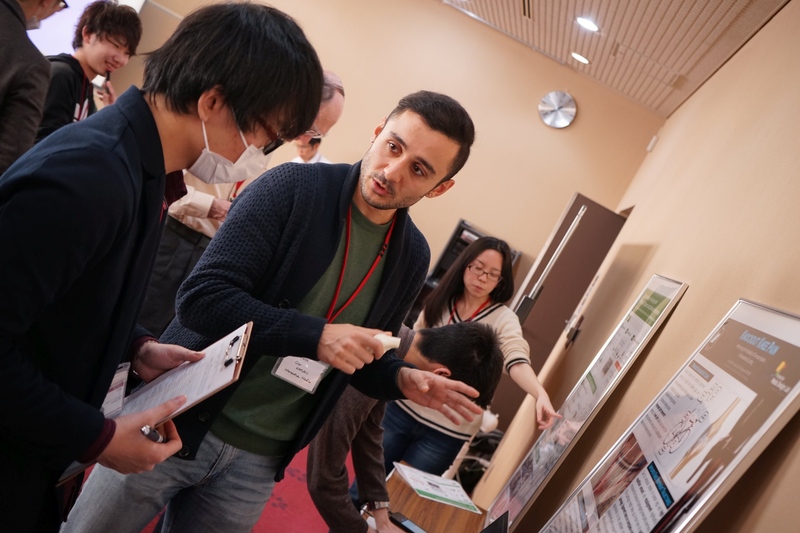 As the workshop included an overnight stay, there was ample time for both poster and oral sessions, as well as an evening session for extended discussions over drinks. The conference room at the Boscovilla in Nara. 15 groups presented the progress they made in the projects they started 3 months ago. Topics ranged from Dog Emotion Estimation, network traffic optimization and 3D fog displays, all the way to artificial make-up projection, robot hand design and knee posture evaluation for cyclists. 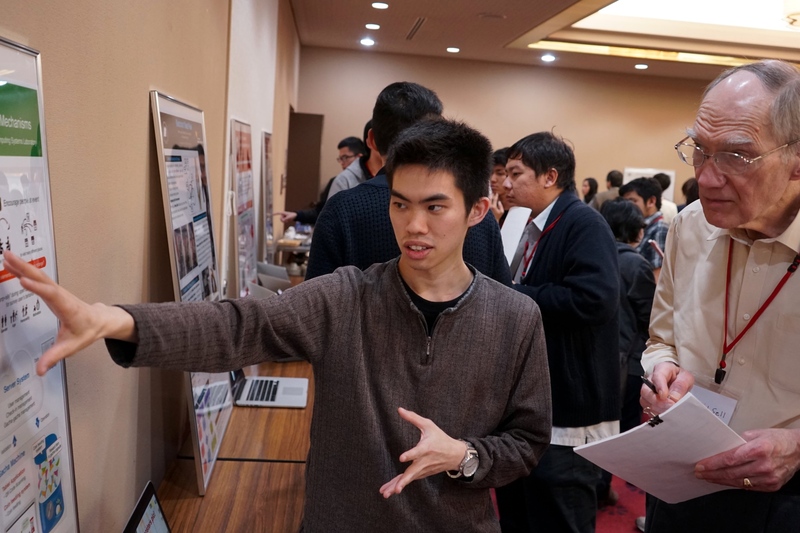 They received feedback from their peers, English professors, and even a tele-conferencing professor from a collaborating university in Vietnam. “The CICP program is a good opportunity to further my research and tackle project management. 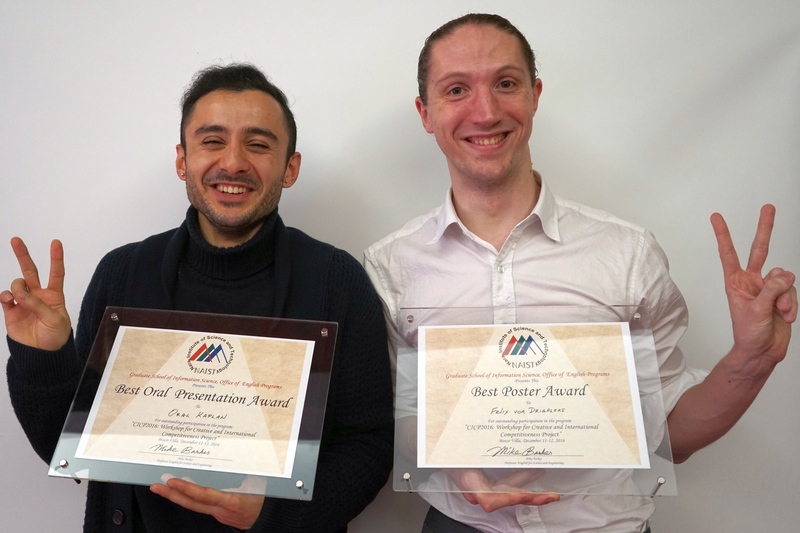 Our team learned a lot about presenting and organising.”, said Oral Kaplan from the project Knockout Knee Pain, winner of the Best Presentation Award. “There is always something to improve when you present your work. 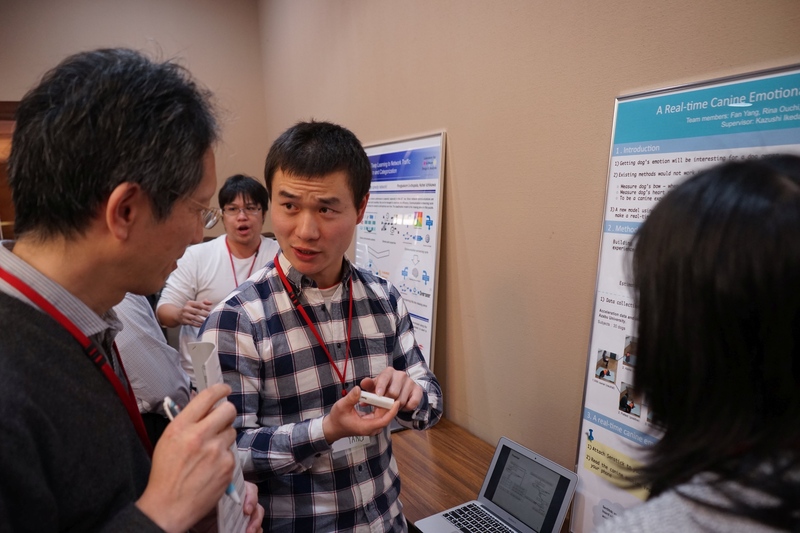 Communicating is one of the most important skills to have in our times.”, said Felix von Drigalski, recipient of the Best Poster Award with the project NAIST OpenHand M2S: A robotic hand with tactile sensing for textile manipulation. 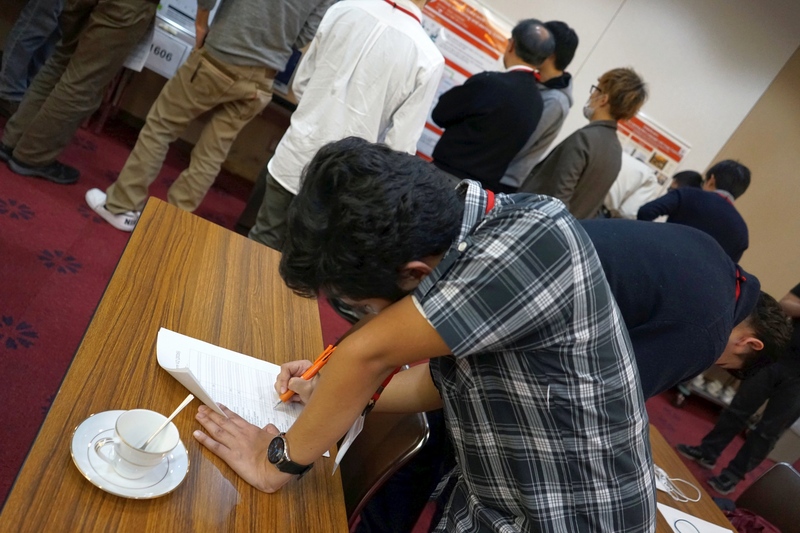 Participants judged each other’s posters to study their weaknesses and overtake their dynasties. The CICP program is hosted every year and is open to applications from all regular IS students. 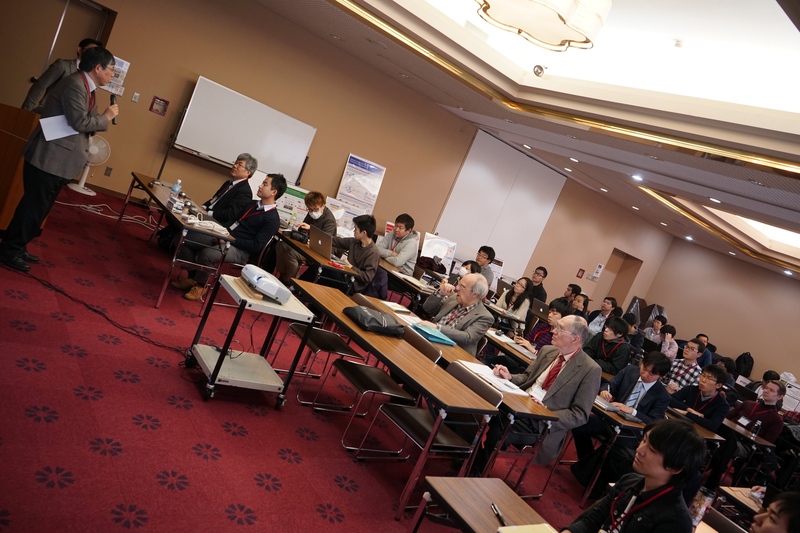 The results are demonstrated publicly in Japanese at the Spring Seminar in February.